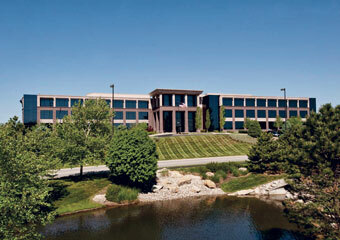 U.S. Central’s headquarters building in Lenexa, Kan., is a 10-year-old 130,000-square-foot building that is best suited for a company relocating operations. The NCUA shut off the lights Oct. 29 at U.S. Central’s headquarters in Lenexa, Kan., but the regulator still holds the deed to the 130,000-square-foot office building located at 9701 Renner Boulevard. NCUA Public Affairs Specialist John Fairbanks confirmed the building is still on the market after being listed for sale in May.